In a couple of weeks it´s election time in Germany again. A pretty boring affair these days. The conservatives will most likely win again. Nothing will change. 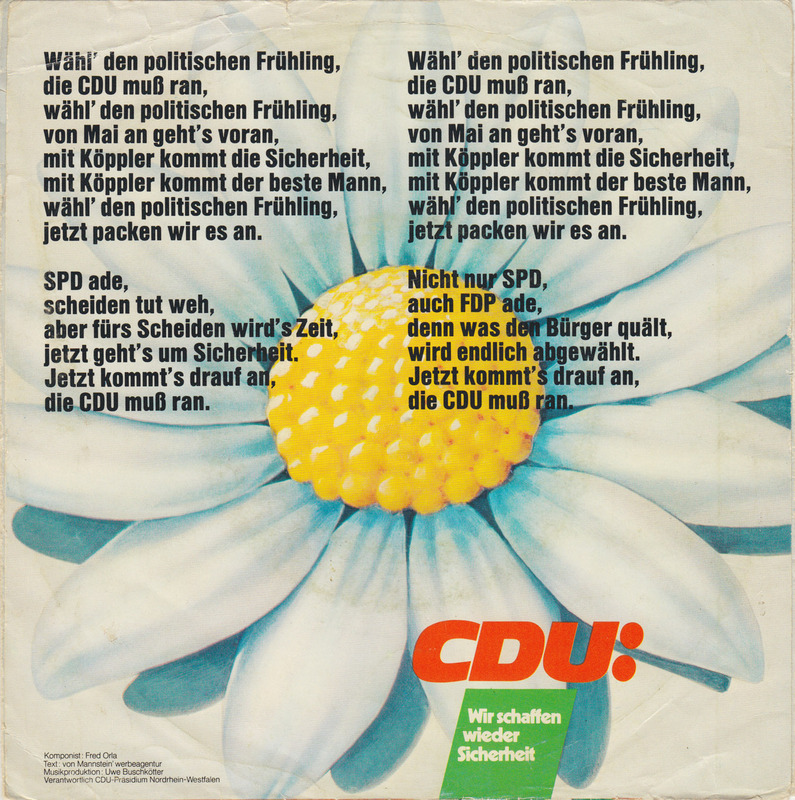 During the 1970s it was vice versa: the conservatives were always struggling to kick the social democrats out of office. But no matter how catchy their songs were, they failed each time. 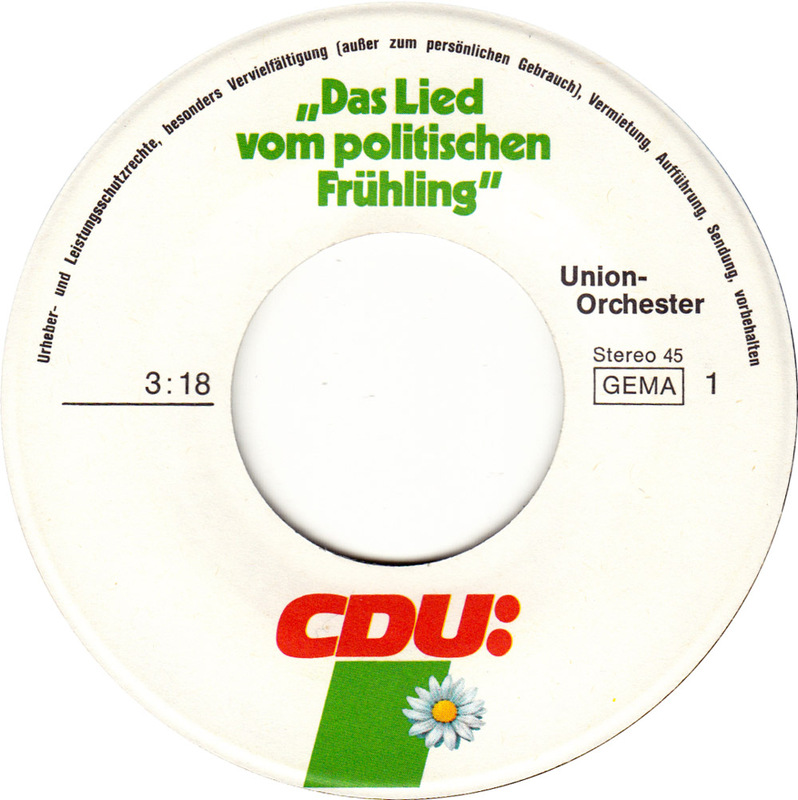 “Das Lied vom politischen Frühling” – The song of political springtime. 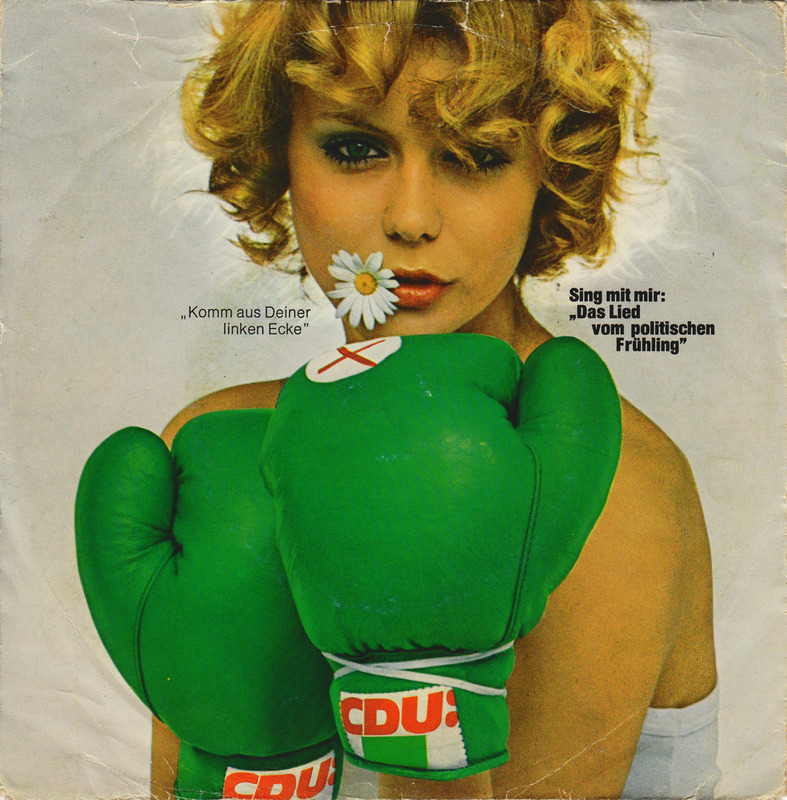 “Komm aus deiner linken Ecke” – Come out of your left corner. 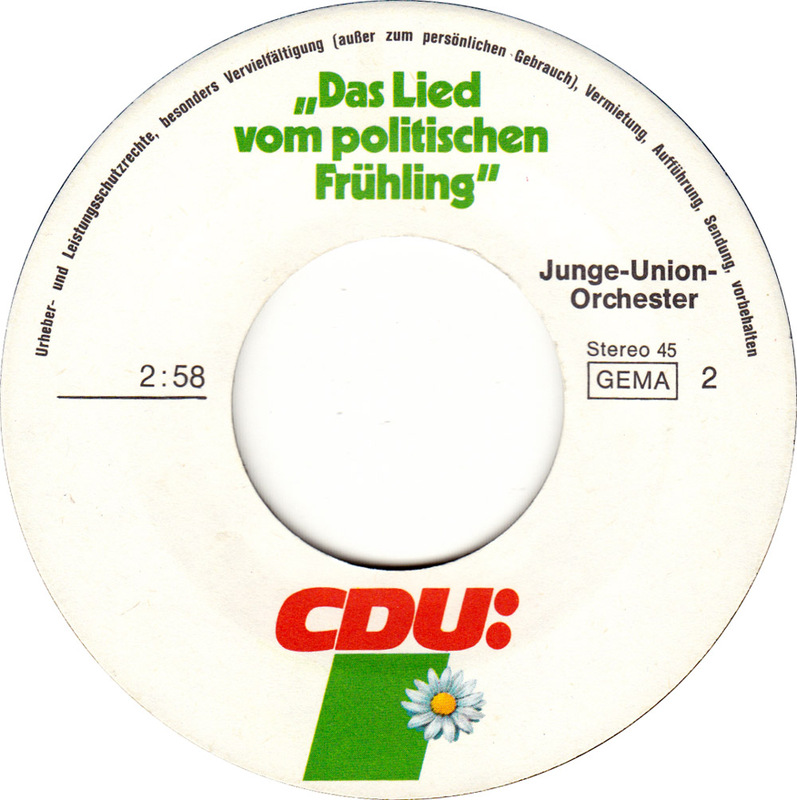 In 2008 I posted another catchy CDU song here and wrote about it in Jungle World here. While fighting the horrors of war, greed and capitalism are still worthy causes, some people in the late 60s counter culture also tried to get rid of two-person relationships, the family and stereotypes. Those were hopeless endeavors. Sommer´s wish nevertheless fulfilled itself over time. Horror movies of the 1960s only make people laugh today. 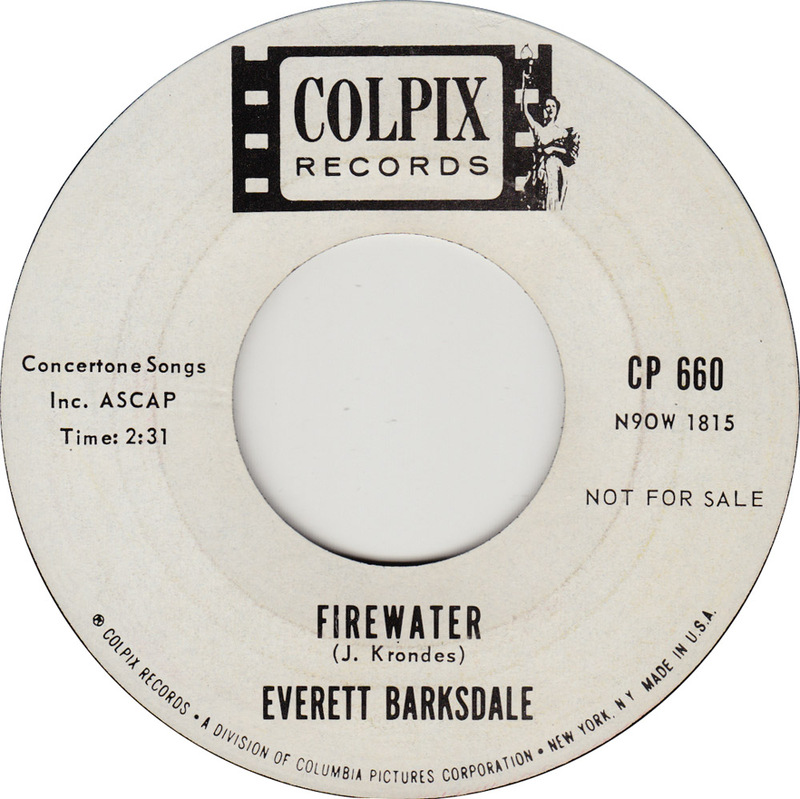 The liner notes also mention an LP that was due to come out at the end of 1969. Maybe it never did. 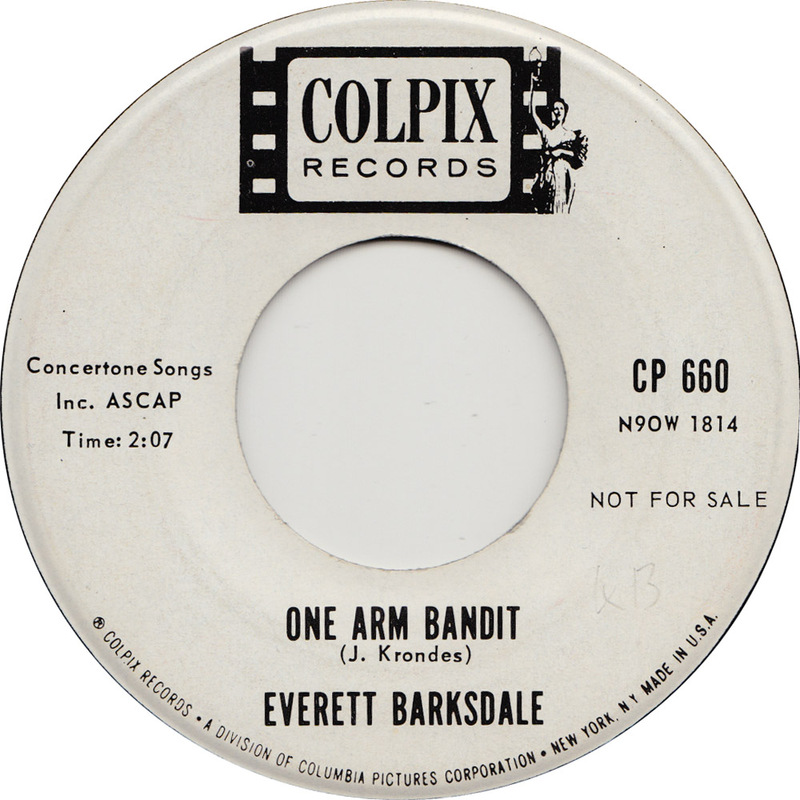 Unfortunately none of his songs have ever been reissued. 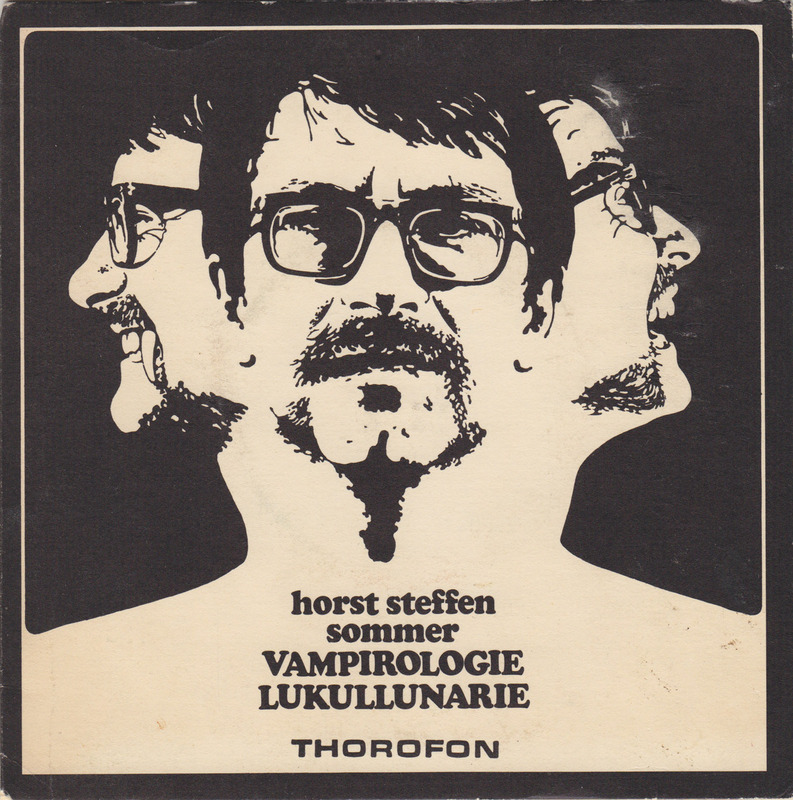 These are great weird songs that deserve a better spot in the pantheon of German musical weirdness. 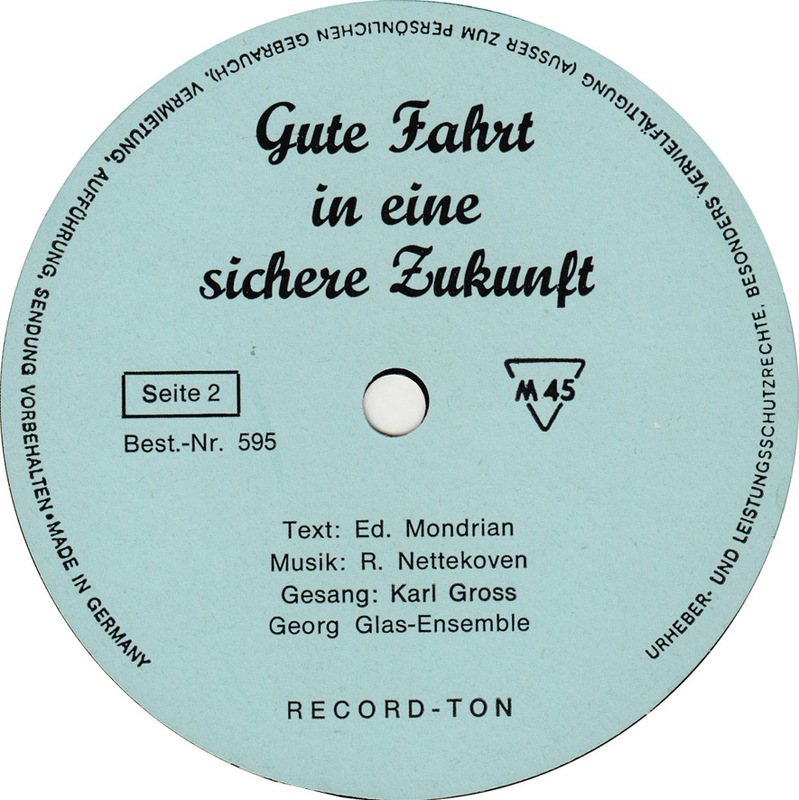 Recorded live at the Steve Club Berlin. ich habe eure Platte vor einigen Jahren hier in Kreuzberg auf einem Flohmarkt gekauft. 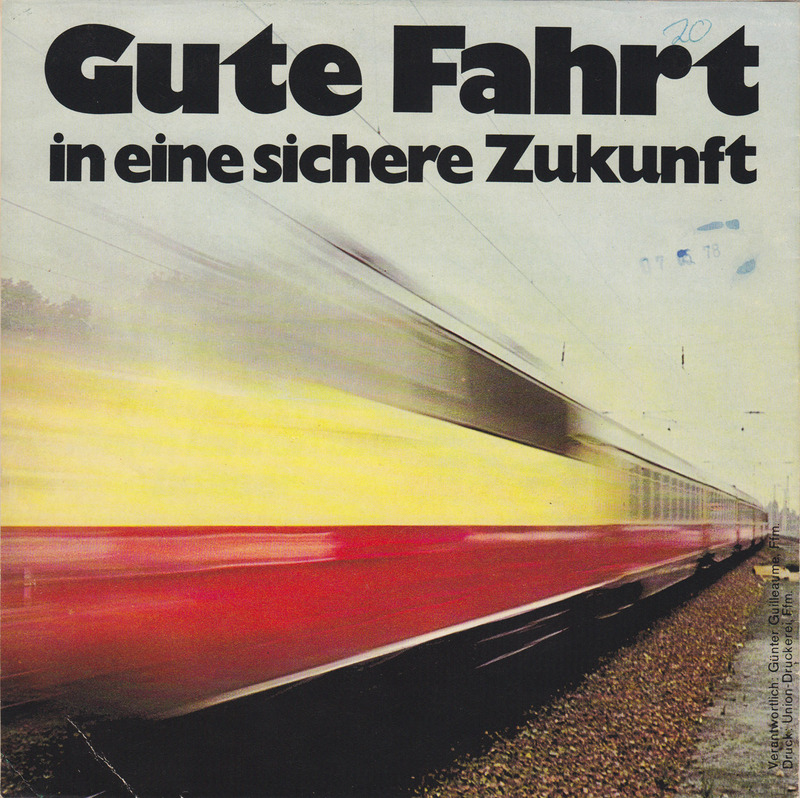 Bitte meldet euch, ich schicke sie euch gern zurück. 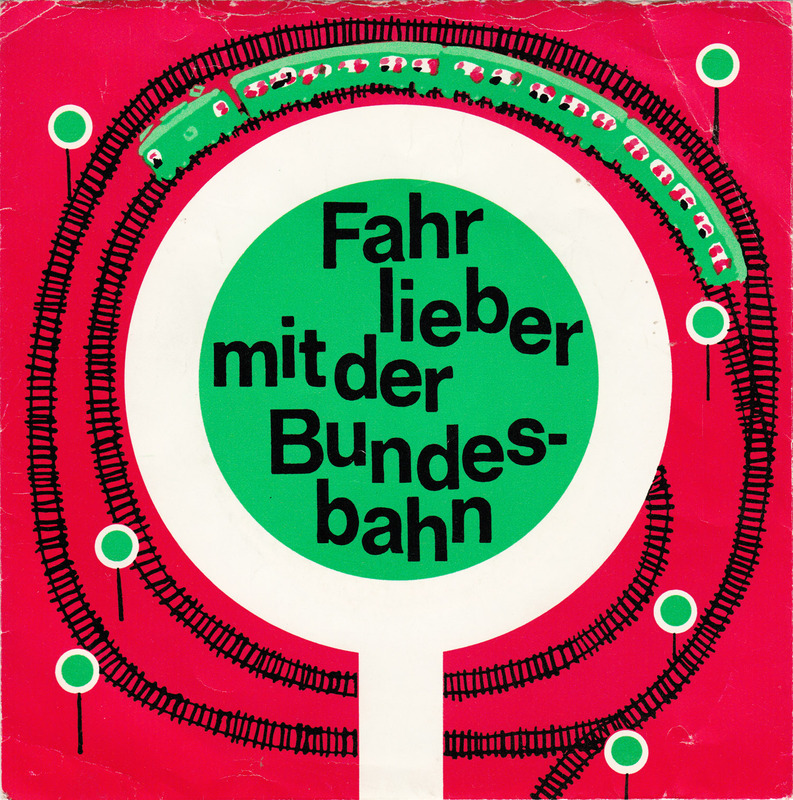 The practical purpose of this record – campaigning for the Leber-Plan – is not explained on the sleeve, apart from a girl in a mini-dress getting into a car on the front, and a speeding train of the Bundesbahn on the back, but is reflected in the length of the political lyrics. The obscure singer Karl Gross was a man of many trades and names, alternatively calling himself either Karl, Carl, or Charly Gross. 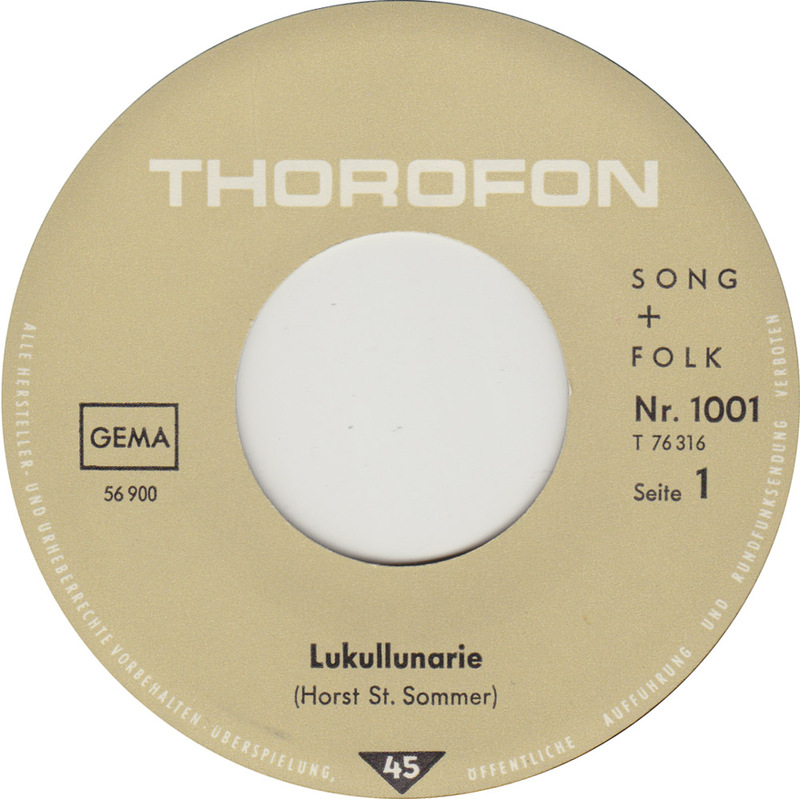 He recorded quite a number of equally obscure schlager records for big labels like Polydor, Ariola and Philips, for smaller labels like Bella Musica, Populaer, Saba, and Linda and even budgets like Neckermann and Starlet. 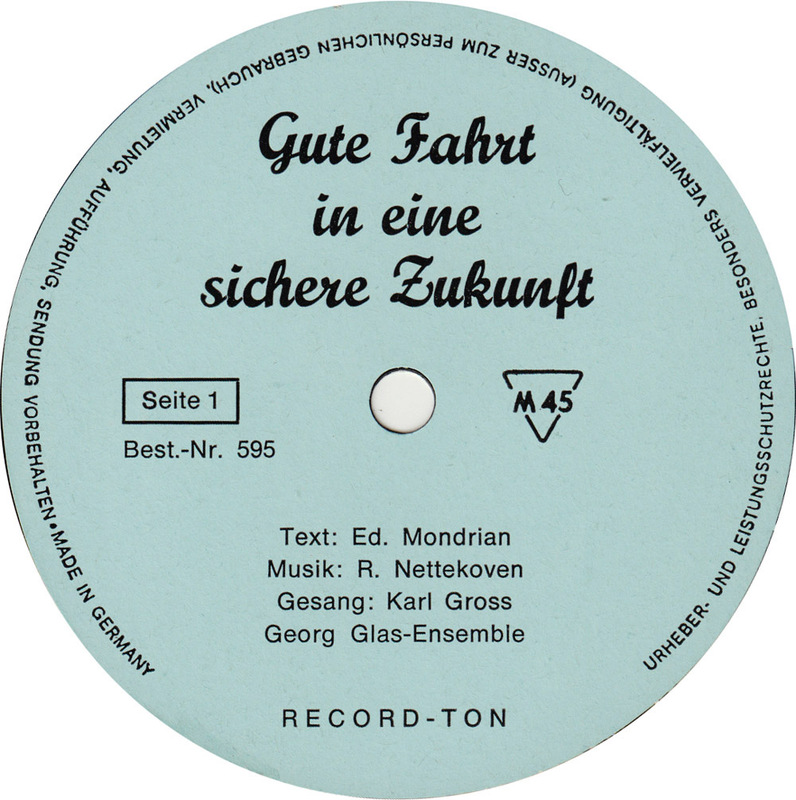 I posted one of his Metronome 45s in 2009 Carl Gross & Die Flaschenkinder – Wir Sind Die Flaschenkinder/Wum Wum Wum. 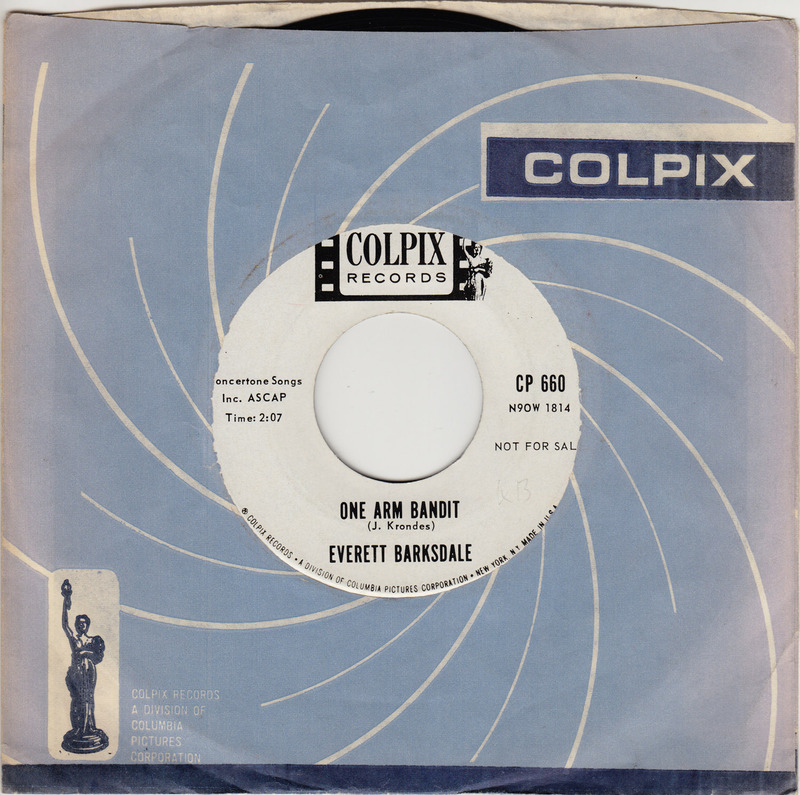 No idea when this commissioned work came out, but I´d guess in 1969 or 1970. 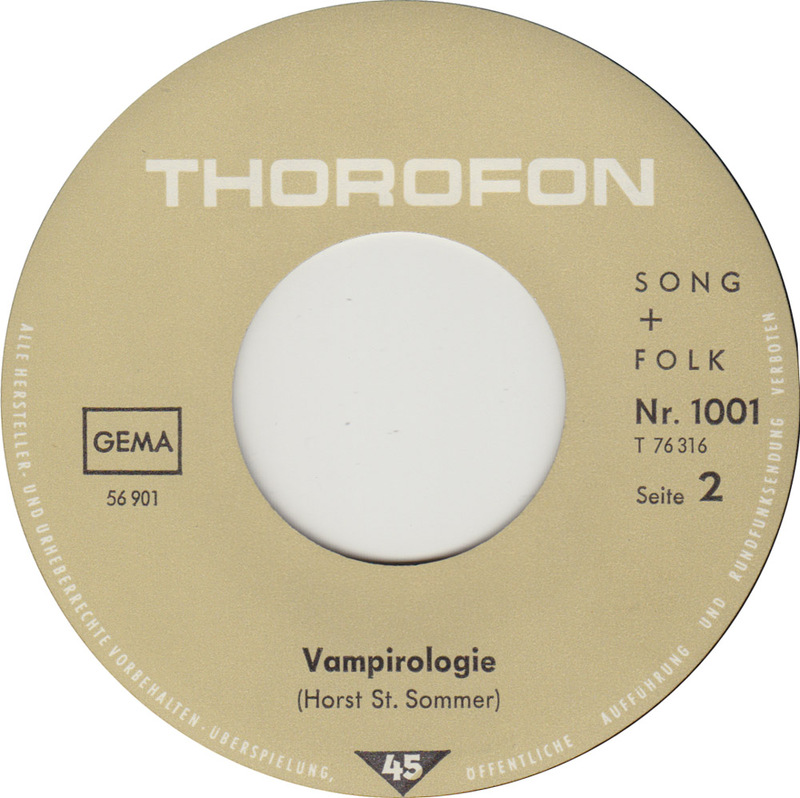 Musically this is pretty much in the Heino school of German schlager. 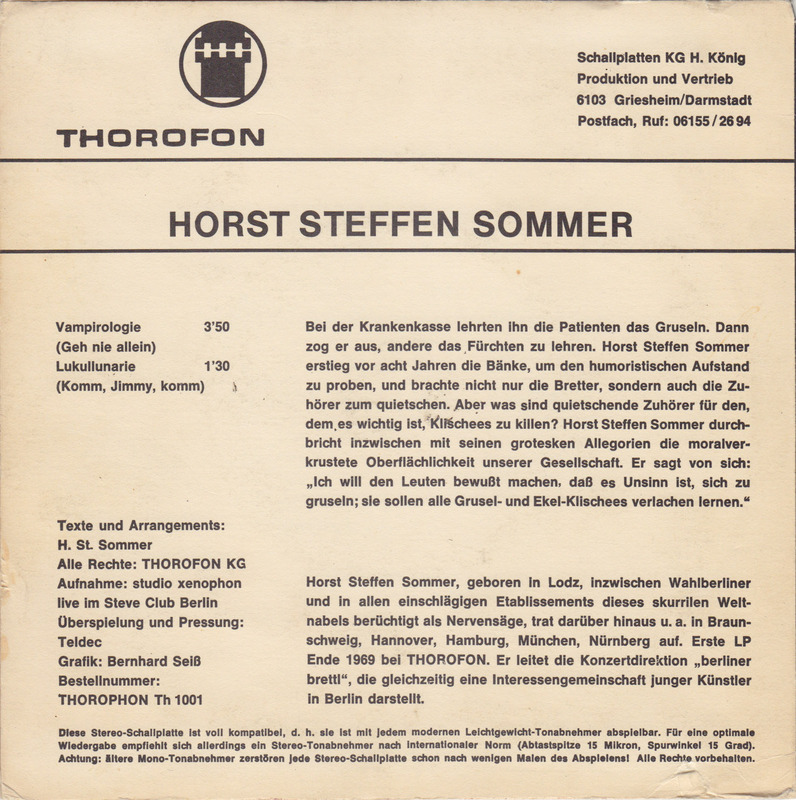 When I saw this EP last week in a thrift store in my street I first thought that it was just a typical stereo demonstration record. 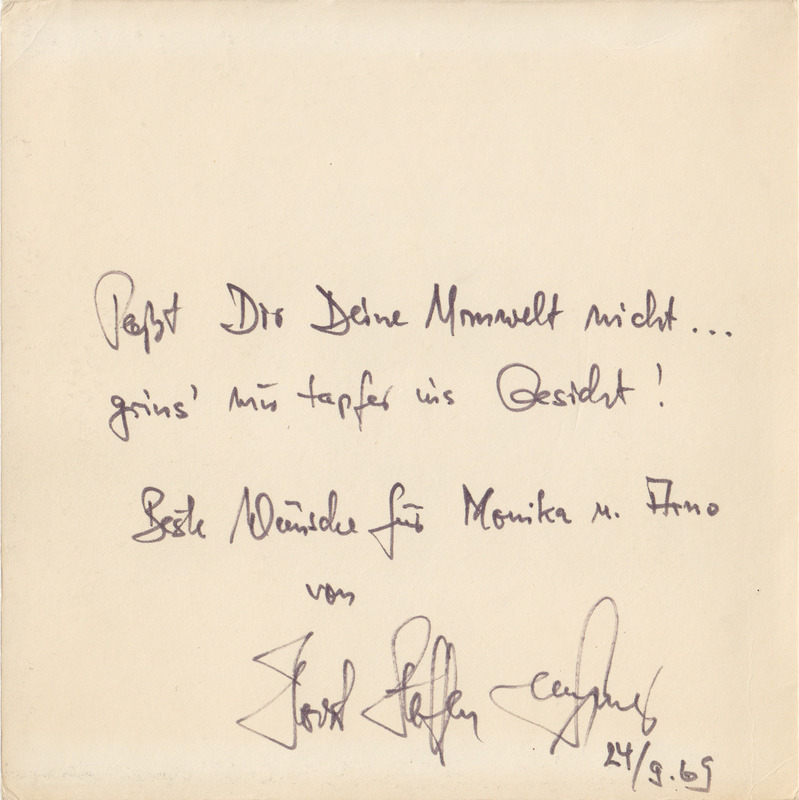 Until I noticed that Hans Koller was featured on it and bought it for one euro. At home I searched for more information and discovered that somebody is trying to sell it on Ebay for 125 euros! Of course nobody will buy it. 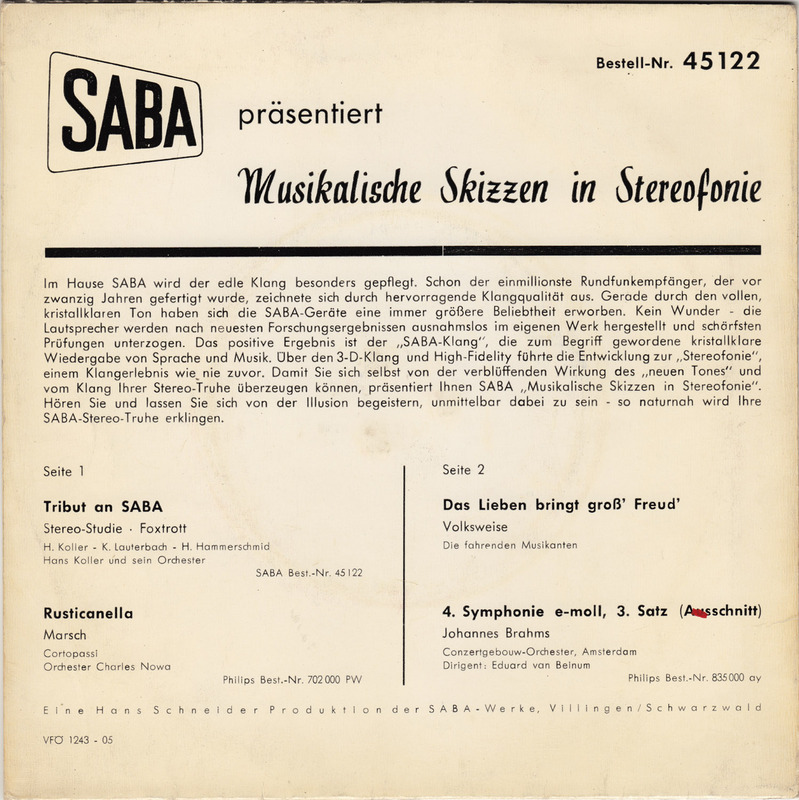 But why is a record that advertizes for the 1959/1960 SABA-Stereo Truhe, (a TV, a radio and a record player combined into a piece of furniture), considered to be so valuable? Most probably because of the one song by Austrian jazz tenor saxophonist and bandleader Hans Koller (1921-2003), one of the few pure jazz musicians who managed to play his music after the Beatles dropped the bomb on jazz in the 60s. 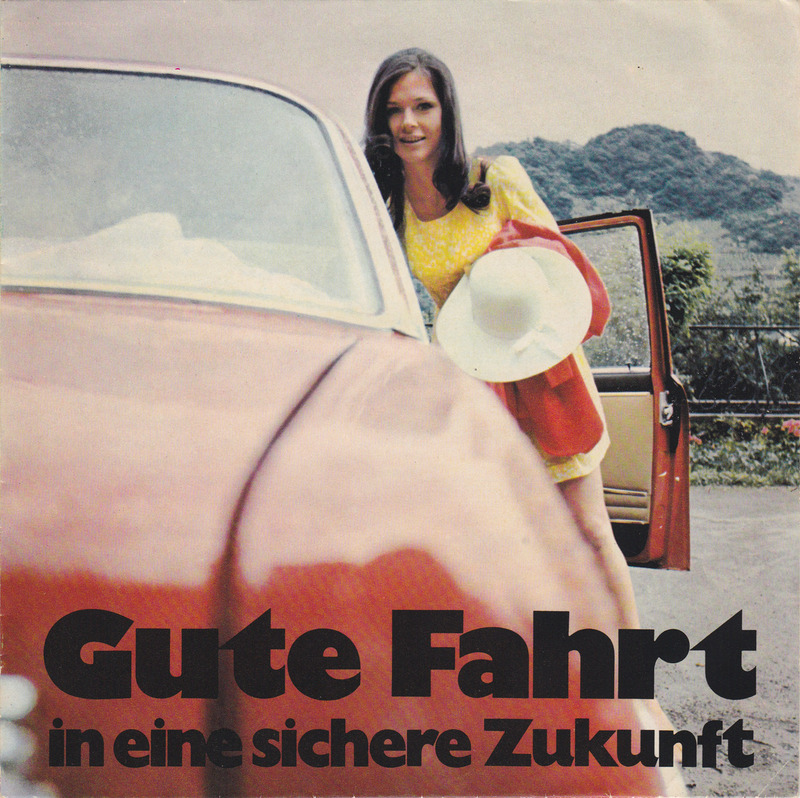 Most other German and Austrian jazz musicians either had to play Schlager or dropped out. 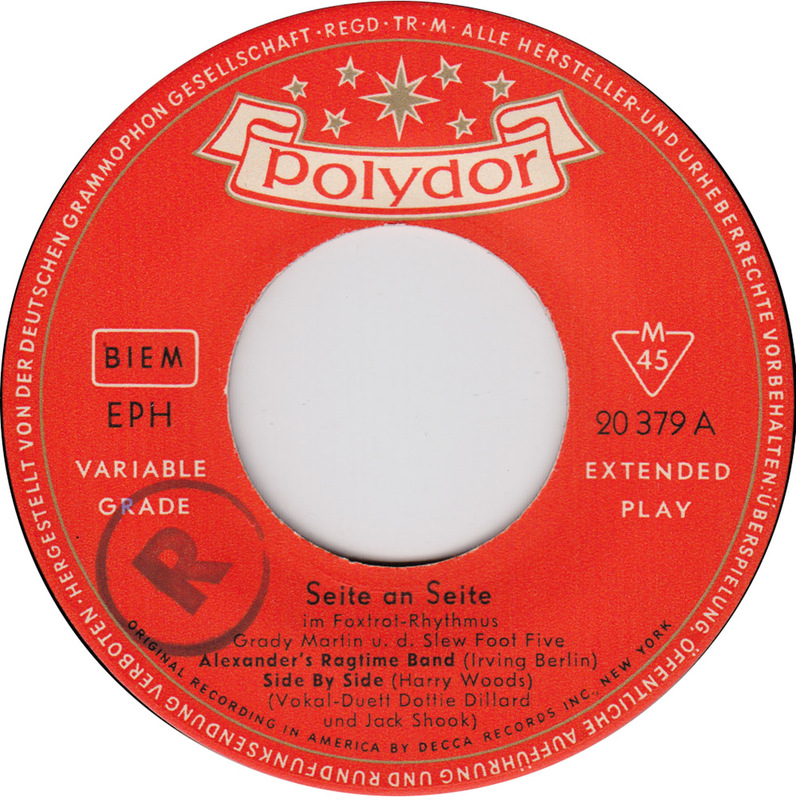 This record is also unique because it was one of the first releases produced by SABA, a German manufacturer of electronic equipment, before the company actually branched out into the SABA label. 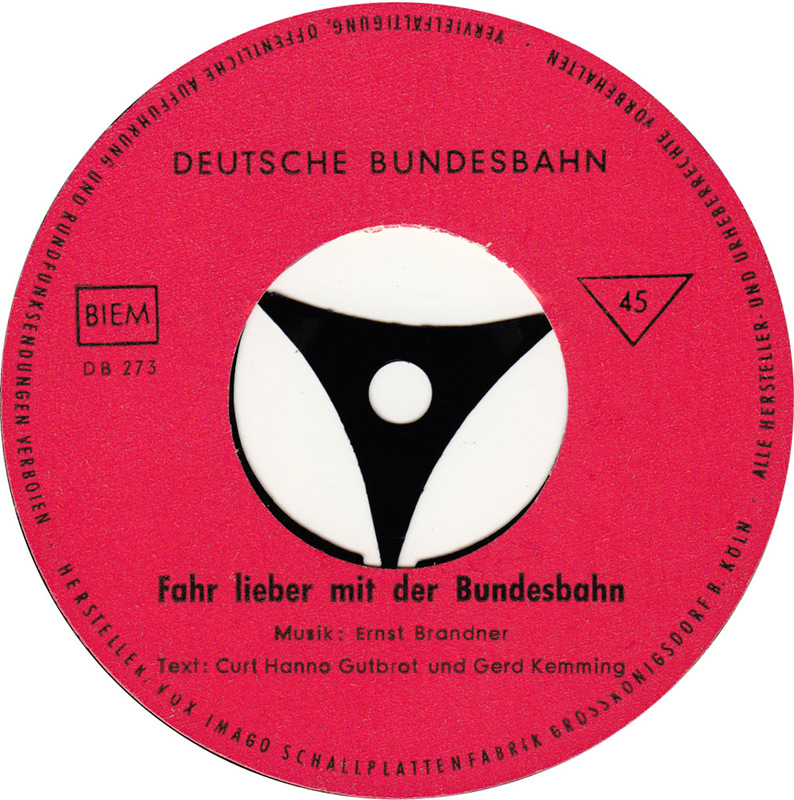 The note/fir tree symbol on the sleeve signifies the black forest where the company and the studio was located. 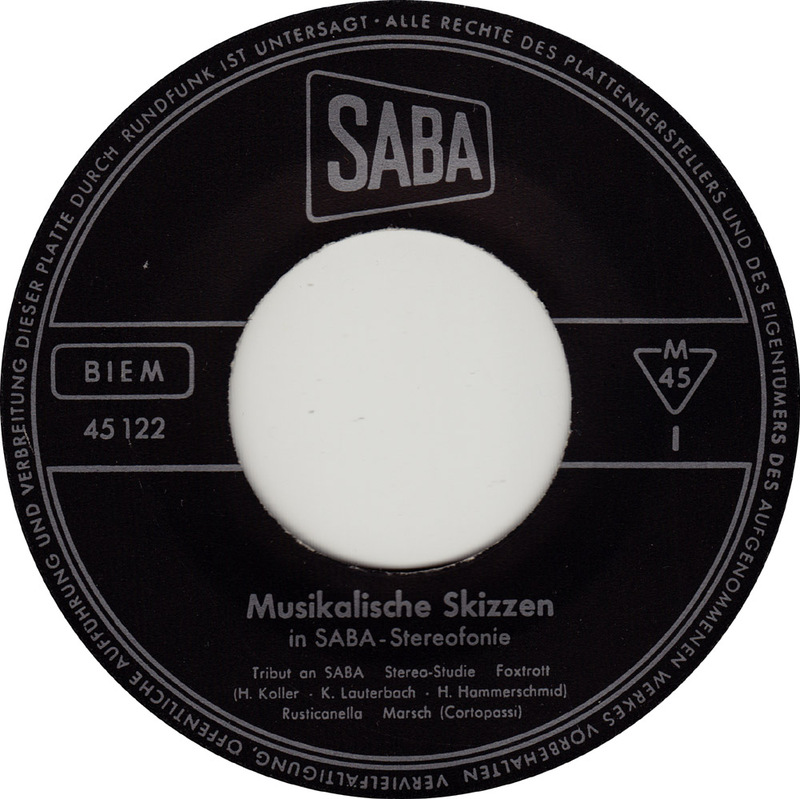 In 1968 SABA, a variety label, was renamed to MPS, the first German label to exclusively release jazz. 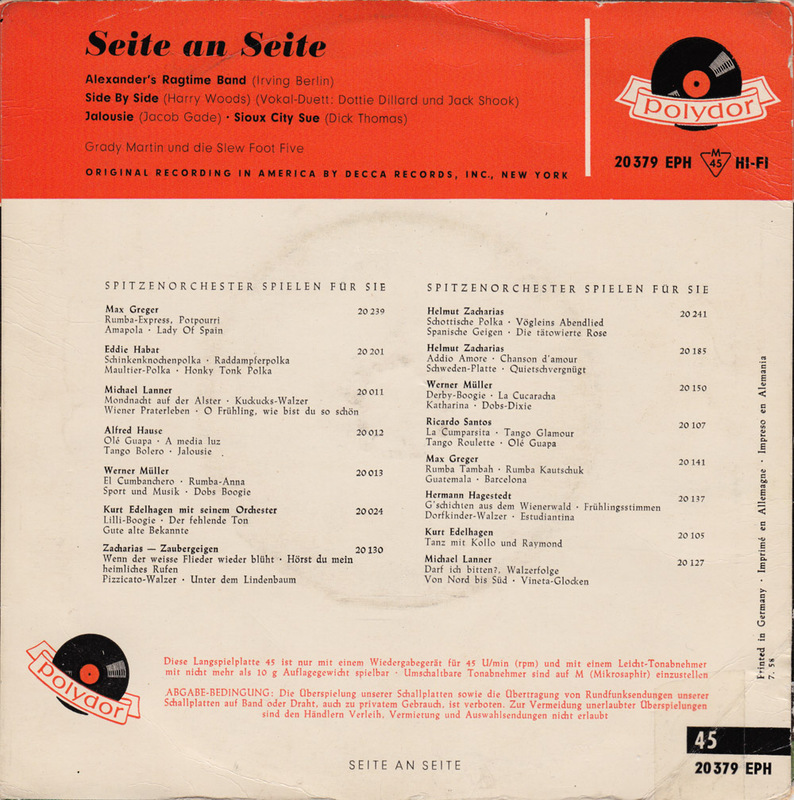 SABA issued three LPs by Hans Koller from 1963 to 1966. 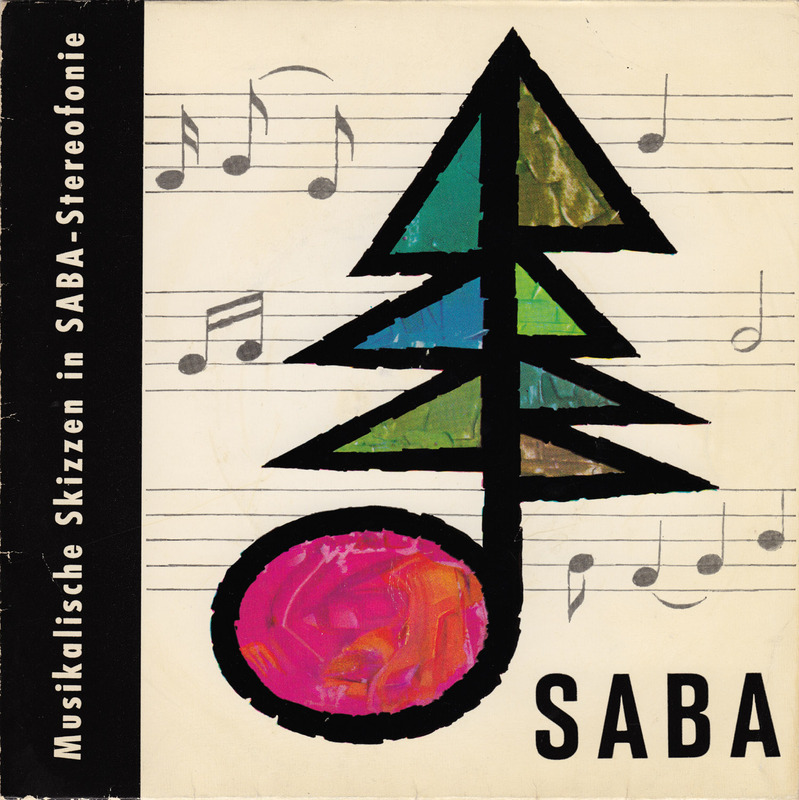 In this respect Koller´s “Tribute to SABA” , recorded in 1958 in Sandweiher near Baden-Baden, was a tribute ahead of time. Now you probably know by now that I´m not a jazz expert. 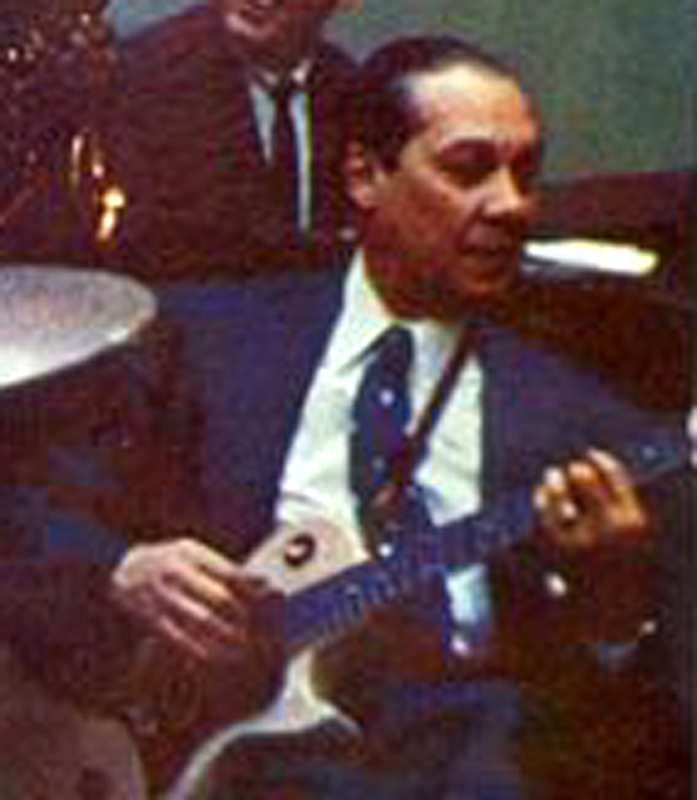 In fact I don´t care for most of what has passed for jazz in the past 60 years. I like jazz that you cannot stand still to: dance music. 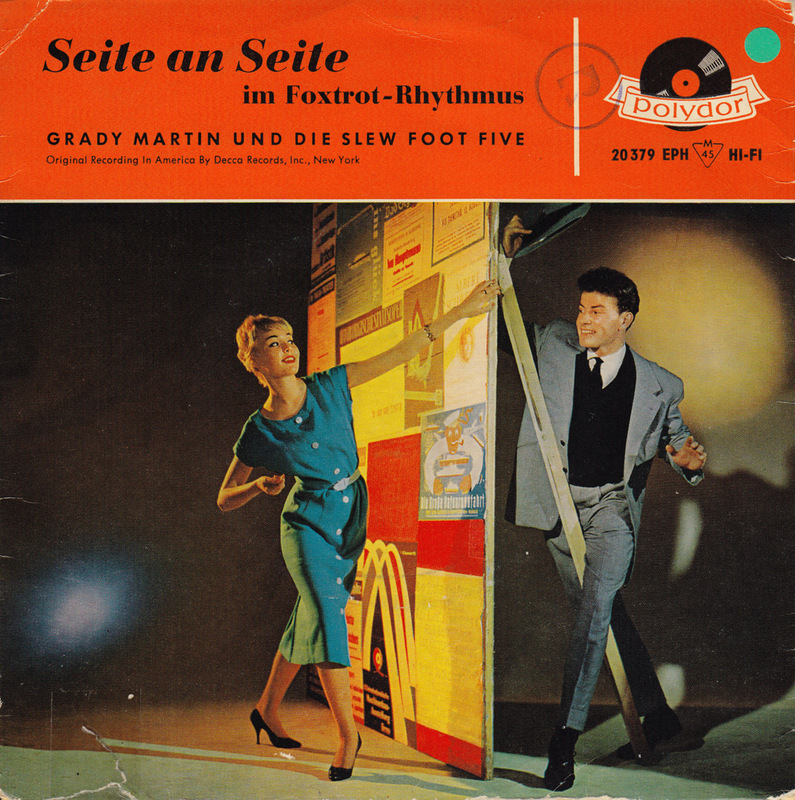 If you like this you might want to check out an EP by Zoot Sims and Hans Koller from roughly the same time on the German Brunswick label, that Boogieman posted in April. That one really makes you wanna move!